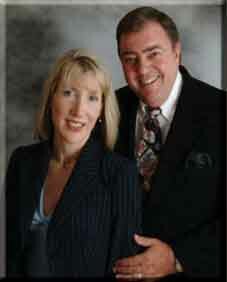 Larry Cook holds a Masters Degree in Finance from San Diego State University. He is a Chartered Life Underwriter (CLU), a Chartered Financial Consultant (CHFC), and a Certified Financial Planner (CFP). Katie Cook holds a Bachelor of Science Degree from the University of Oregon. Her completed coursework includes Industry Training in Life/Health/Disability & Group Benefits Underwriting. Larry is a lifetime member of the Million Dollar Round Table and a member of the National Association of Insurance and Financial Advisors. Combined, they have over 55 years of experience in Integrated Financial Planning Services consisting of Estate, Economic, Business, Life Insurance and Retirement Planning. Larry and Katie are active in their church, the Del Mar Rotary Club, and the Easter Seals Society of Southern California, a non-profit agency providing direct services to persons with disabilities. Larry also serves on the Board of Directors of the San Diego State University Aztec Club. Larry and Katie spend approximately 150 hours a year in continuing education courses and seminars related to their business.